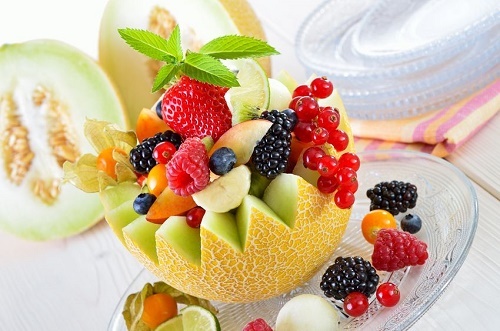 Display your presentation skills by serving your fruit salad in a carved melon bowl. You’ll need a sharp knife and a little bit of skill to carve out your melon. When you’re done, fill up the bowl with cubes of melon and other fruit. Toss the fruit with a light sugar and lemon zest syrup and chill before serving.